Ainsley is drowning in the depth of her despair. One wrong decision left her alone, with only regret as her constant companion. To escape it all, she makes another choice. One she hopes will end everything. Instead, she’s thrown into a whole new world filled with opportunities she doesn’t believe she deserves. Ethan gives the appearance of breezing through life. But underneath his bright facade, he’s scarred by loss. When fate leads him into Ainsley’s world at the exact moment she needs someone the most, he can’t ignore the chance to right the wrongs of his past. Ainsley and Ethan will struggle to help each other heal and start anew. They’ll learn that the secret to conquering their pain lies within their power, if only they can do it together. Sometimes the ending is really the beginning. "This story deeply touched my heart and gave me hope to continue moving forward. I'm certain that it will touch your heart, just as it did mine." "Beautifully raw and emotional, and full of exquisitely swoony moments, this story hooked me from beginning to end. I couldn't put it down! The characters are rock solid, imperfectly perfect, and the magnetic chemistry was mesmerizing. " "This poignant redemption story about second chances and forgiveness yanked my emotions all over the place. I cried, I yearned, I hoped. A beautiful story about what true love is and does. " "A heartfelt romance with a powerful message about the sanctity of human life. If you've ever simply needed a friend, The Songs That Brought Me Back will resonate--and leave you thankful for the people in your life." "Another remarkable read by Mylissa Demeyere. This book adds even more depth as it confronts suicide head on. Suicide has become an epidemic that some are afraid to address; Demeyere brings it to light from both the victims and the survivors giving us insight on the struggles of so many. It does not disappoint and I, again, am excited to see what comes next from this talented writer." 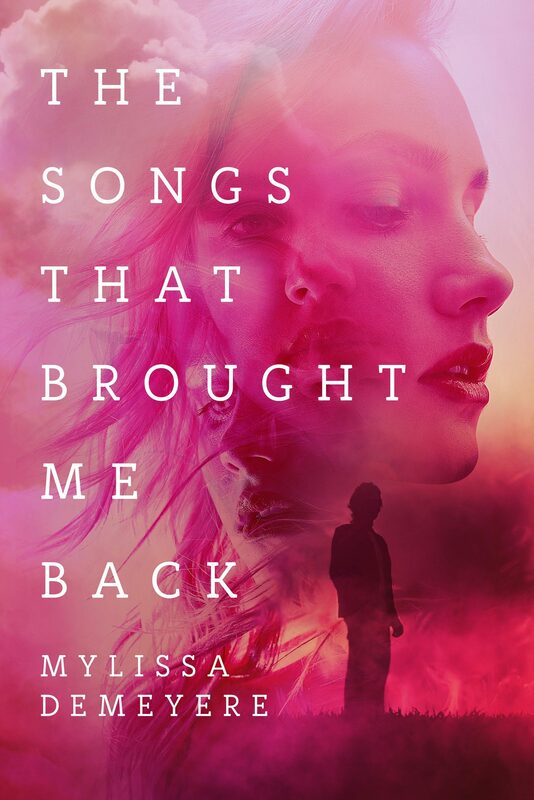 "A beautiful sequel to The Songs of You and Me that cleverly illustrates that there are always two sides to every story and that it is never too late for love to overcome any challenge." Thank you for signing up to my Newsletter. Please check your inbox (or maybe your spam folder) to confirm your subscription.